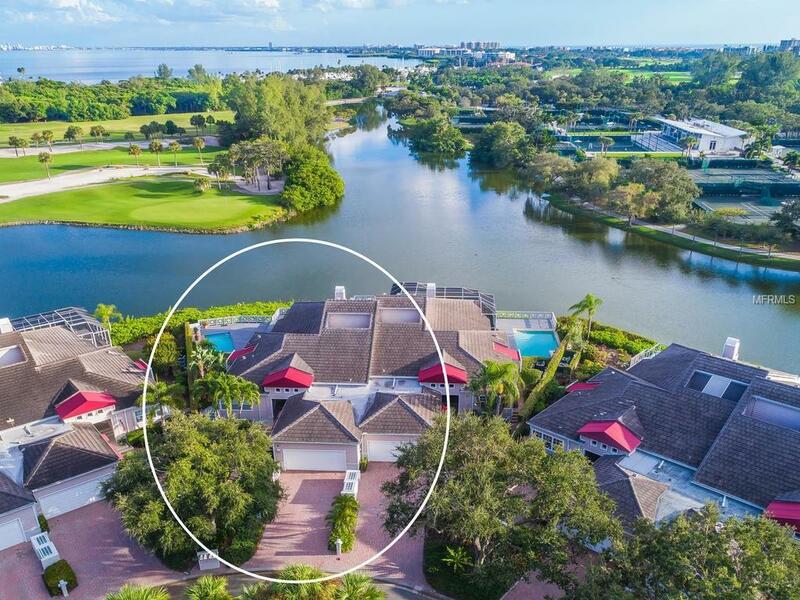 One or more photo(s) has been virtually staged.Savor the very best location in Winding Oaks, where sprawling lake and golf course views set the stage for both elegance and comfort. A welcoming courtyard entryway leads to the bright and open main living area of this expansive 3BR, 3BA villa, which truly lives like a single-family home with a private pool & spa and a cavernous 2-car garage. 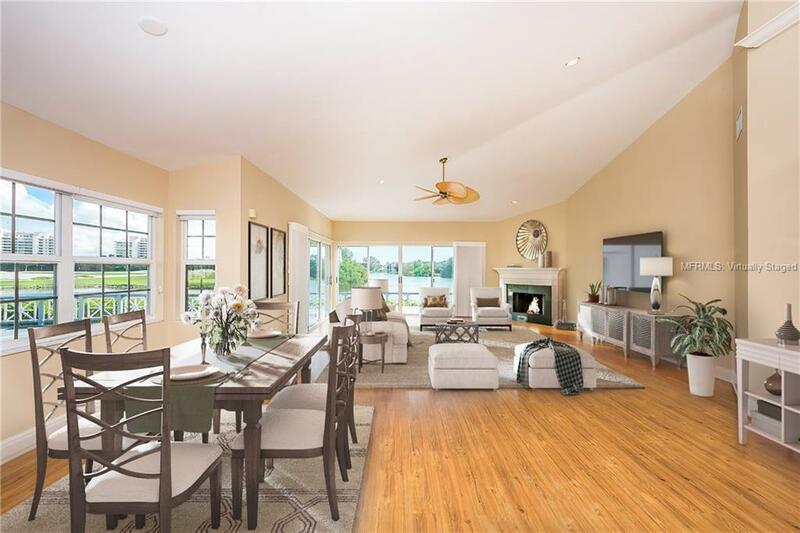 With an abundance of natural light and enhanced by a backdrop of serene vistas, the living room has a cozy wood-burning fireplace, soaring vaulted ceilings and access to the extensive outdoor decks overlooking a lake and the Blue Heron golf course. Adjacent to the living room is the gourmet kitchen, which is an entertainers delight featuring gorgeous white cabinetry, marble countertops, a Viking stove, Sub-Zero refrigerator, and an eat-in area opening to a charming trellised patio perfect for grilling. 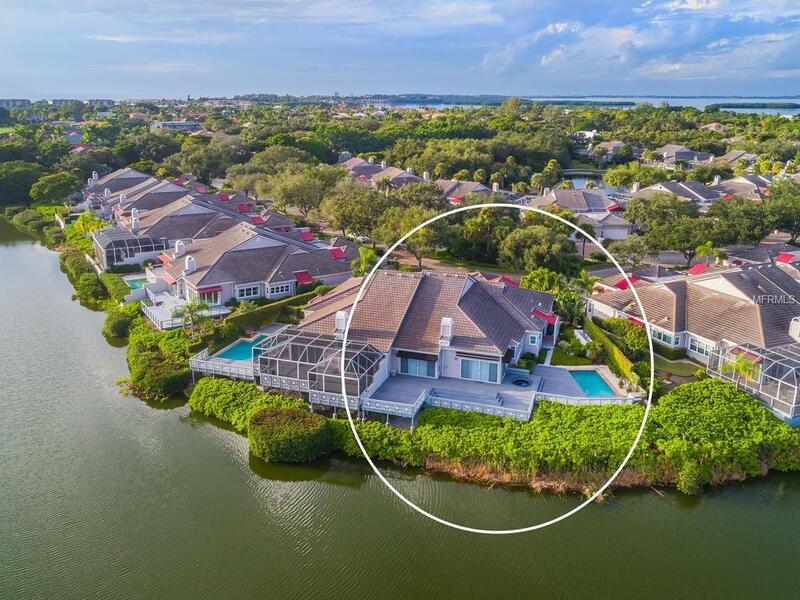 Spacious and private, the master suite boasts a vaulted ceiling, a walk-in closet, a wall of sliders opening to the outdoor decks, and a master bath with marble floor, oversized tub & shower, and a double vanity. The guest bedroom has an en-suite bath and a walk-in closet, while the 3rd BR/office has built-ins and natural light through an interior atrium. 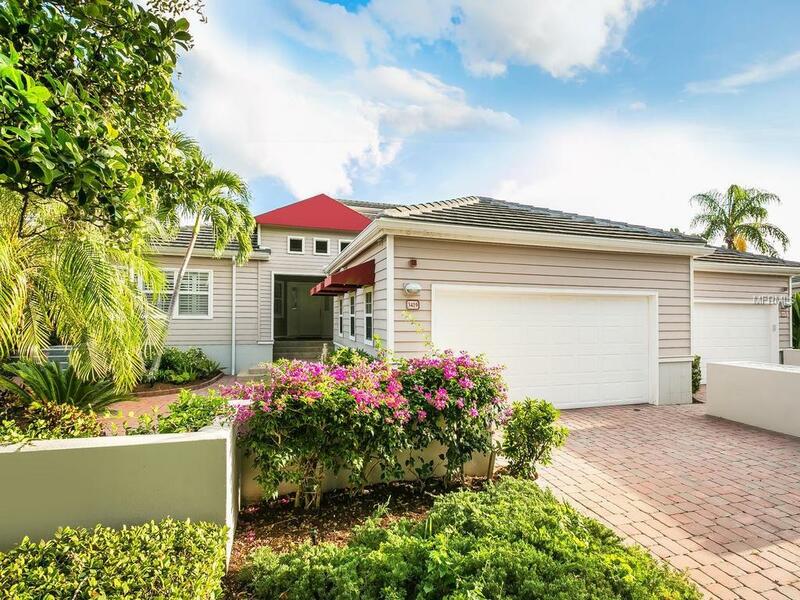 Located on beautiful Longboat Key, Winding Oaks is a pet-friendly (large dog), maintenance-free community with a community pool and private beach club with deeded beach access.